The Great Eastern Cutlery #73 frame is one of our favorites — it’s big enough to allow a solid grip, and it’s just the right shape. Today’s wallpaper image is of the GEC #73 Tidioute Trapper, a slim slipjoint that features a single drop-point blade. 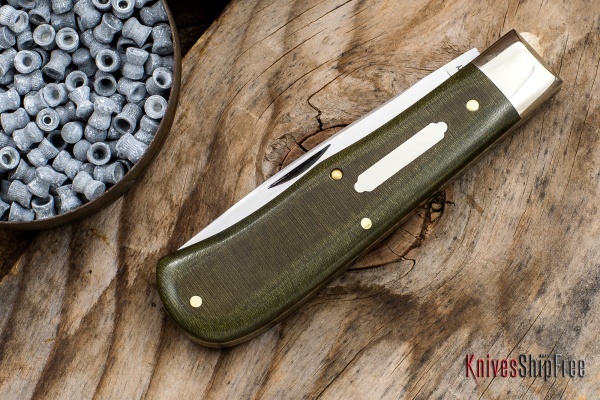 This example is handled in green linen Micarta. This entry was posted in EDC, Great Eastern Cutlery, Hunting, Traditional and tagged EDC, Great Eastern, Micarta, Slipjoint. Bookmark the permalink.